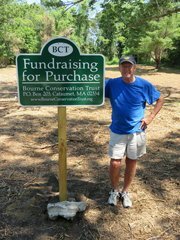 The Bourne Conservation Trust (BCT) has purchased a one-acre building lot (Shultz Lot) at the corner of Scraggy Neck Extension and County Road in Cataumet. This property is on a well travelled access to Cataumet Village and will compliment the acre, Cobb Corner, already owned by the BCT on the opposite corner. The new parcel was recently cleared of thick underbrush, returning it to the primarily open condition enjoyed many years ago. In the fall, the BCT plans to seed the area in meadow grasses and wildflowers. The first land purchased by the BCT was Lawrence Island in 1985 for $150,000. Enjoy the Lawrence Island slideshow. Photos may take a few seconds to load. Click link, or image below, to open slideshow in new window. 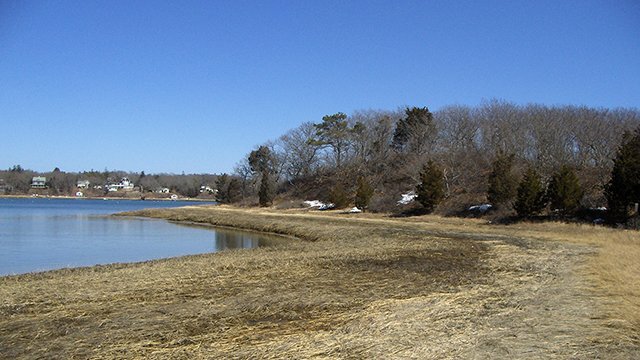 The Bourne Conservation Trust is a private nonprofit land trust with a primary objective of acquiring land and leaving it in its natural state to: protect habitats, provide groundwater recharge, preserve rural ambience, and make it available for recreational and educational purposes. 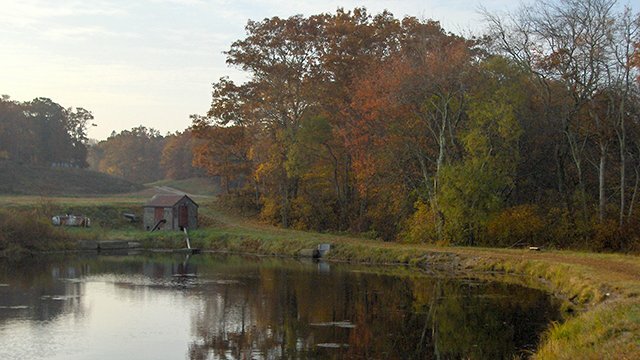 The BCT owns and maintains over 200 acres of open space. 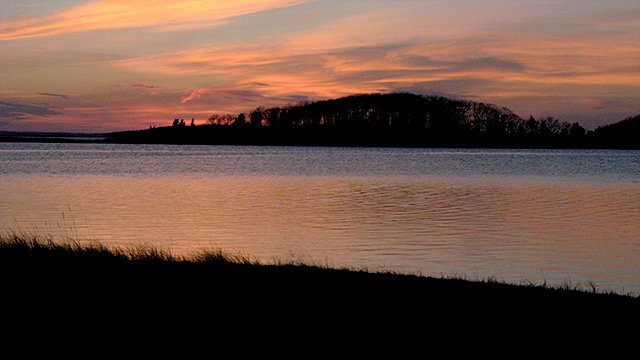 Miles of walking trails thread their way through these protected woods and waterfront areas. Note: The BCT is tax exempt from federal income tax under section 501(c) (3) of the Internal Revenue Code. Within IRS guidelines, contributions may be tax deductible from your taxable income. Please consult your tax advisor for more information. The BCT Tax ID Number (TIN) is: 04-2767827.